Whether inexpensive copper replicas or pricey gold dollars, opening bids with high reserves so that few actually sell–and the ones that do bring profit–is not in Proxibid’s or bidders’ interest. Add to that buyer’s fees between 16-18%, plus shipping and handling fees, and you have a retail coin shop. We wrote about this problem before in this post, happy to hear that Proxibid is aware of the problem. 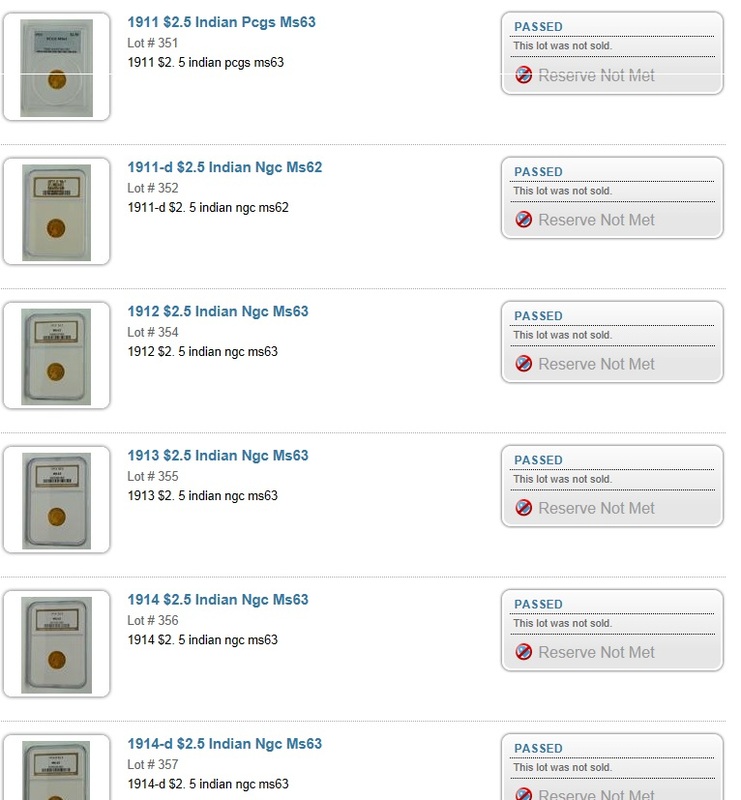 Auctioneers who sell coins regularly on the portal need to be aware of numismatic tradition, especially if they are members of the American Numismatic Association or Professional Numismatists Guild. Companies are not basing dealings on the highest plane of fairness when they pass item after item because of high reserves. Neither are they refraining from selling at unreasonable prices when they factor a 20% profit into a retail reserve at what is supposed to be an auction. If you don’t like the risk of auctions and are an ANA or PNG member, then consider paying eBay by the item, picture, length of exposure and other frills requiring fees that Proxibid allows for free … under the assumption that you are going to sell your lots in the grand tradition of auctioneering, where nothing is certain. That last quality of auctioneering–nothing is certain–is what attracts bidders to the portal. More often than not we know from past experience that competing for coins on Proxibid is a risky enough business, with as many or more losses per lot as gains. It’s the hunt for the bargain that keeps buyers raising bids, and if you’re an auctioneer, your talent is in knowing how to do this. If you’re a salesperson and not an auctioneer, eBay just might work better for you, if you’re willing to pay the tab. Otherwise, you’re operating at the expense of other online auctioneers who sell at a loss or a gain, based on how many bidders they can attract to their sessions and how much excitement they can generate using Proxibid’s digital tools to replicate the auction experience. 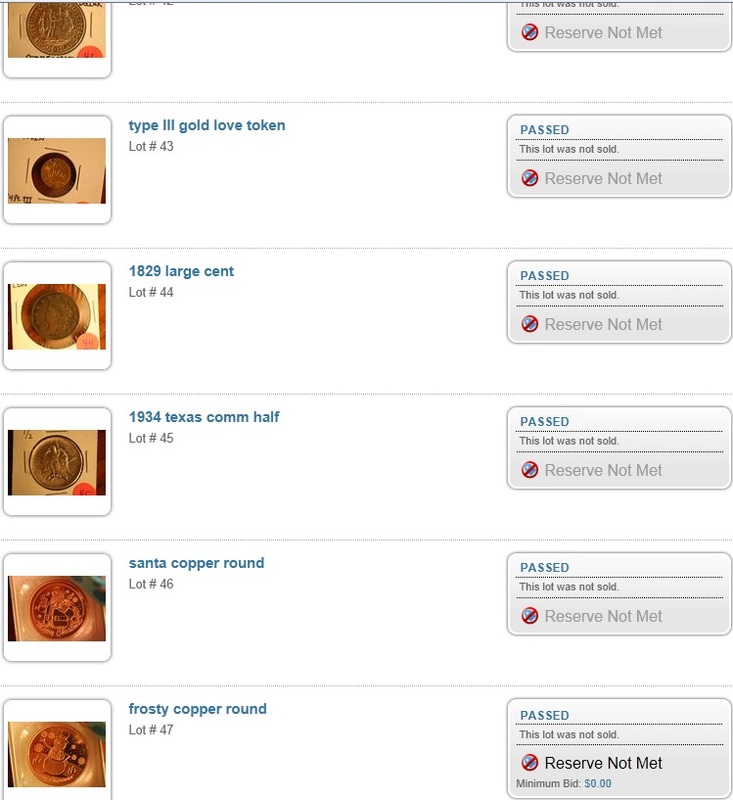 This entry was posted in Best Practices, Featured Updates, News and tagged American Numismatic Association, AuctionZip, Best Practices, Coin Auction, iCollector, opening bids, Reserve, Terms of Service. Bookmark the permalink. Krause Auctioneering has a simple and pure process for selling, either you want to sell it or you do not. I do not accept consignments from individuals who have minimums or want to buy back their items, nor do we allow our sellers to bid on thier consigned items. If they somehow do or an agent does, they pay full commissions, buyers premium and other fees. A ‘true’ auction or absolute auction should require a starting bid of just a fraction of it value. We are posting a coin auction soon and all items will have a starting bid of 50 cents, 10% buyers premium, along with low shipping costs. Auctioneers need to stay true to the industry or what used to be the industry and it founders core values.